Without our sponsors, this club could not function. So, we are very grateful for their generosity, and highlight two long term sponsors this week. The principal of each firm is an ex-Premier BWU player – Stephen Bateman and Matthew Everest. Our Junior club day is on this Saturday 30 November. All our Saturday Junior teams are therefore playing at home. After the game, all players, supporters and coaches are warmly invited back to the clubrooms for a BBQ and drink where they can sit down, relax and watch the Burnside Premier team playing East Shirley on Burnside No.1. We look forward to seeing you all there. 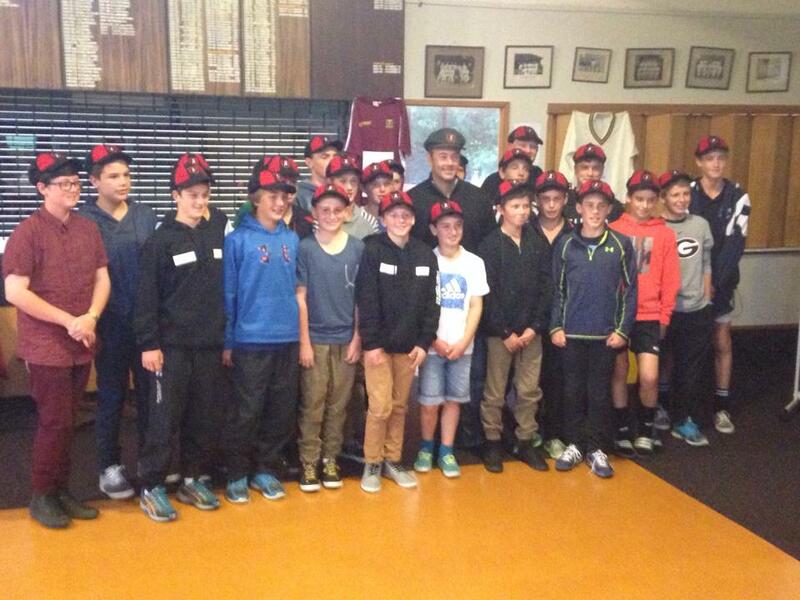 Craig MacMillan was at our clubrooms during the week, handing our caps to the players, including a number of BWU Junior Premiers, in the recently announced Christchurch Metro Cricket teams for the CJCA South Island Primary SchoolTournament. We have our first female player on the honours board for the season. Read about Molly Dunlop’s bowling achievement for the BWU4 team here, as well as Louie Everson’s batting, and the match report for the Year 7 Premier team. David Sewell starred with the ball as the Premiers overcame Sydenham in a low-scoring affair. Elsewhere, the 2As were defeated by OBC in their one day semi-final. The 2Bs, Brawlers and Mariners had losses but the Cannons were victorious. The Presidents Foxes and Junior Premiers had byes. A win over East Shirley on Saturday, and one or two other results going their way, will see our Premiers into the one day competition semi-finals. Meanwhile, the 2A and 2B grades begin their two day competitions. Senior Cricketers – long and short sleeve jerseys are now on sale upstairs in the pavilion – for only $40. Just call into the pavilion anytime after 8.15am on Saturday. 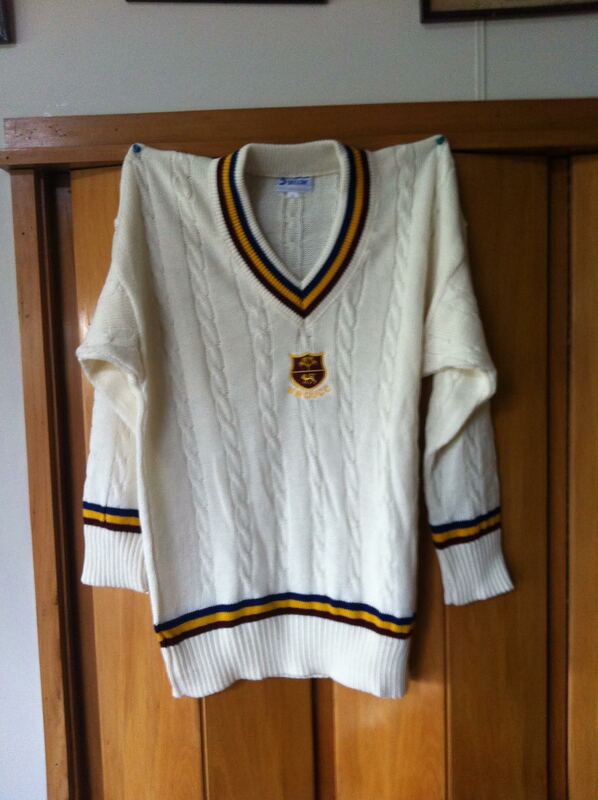 ….with the test against West Indies starting in Dunedin next Tuesday, about the big win that NZ had there in 1980? Against by far the strongest team in world cricket, NZ had a very exciting one wicket win. Here is the scoreboard – you can see that the last two batsman, Gary Troup and Stephen Boock, had to scramble four runs to win, amidst much excitement. The test was also full of controversy, mainly about the unpiring. 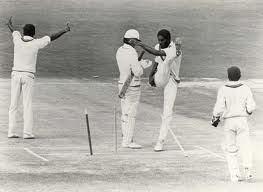 This included Michael Holding kicking down the stumps in response to one decision. Trimbles will be pleased that there is limited Youtube footage of this test, but there is some of Holding’s protest. Have a great cricketing weekend.